Have you ever confronted ERR_CONNECTION_RESET issue in chrome browser? If yes! Then you are not the only one who is confronted with this issue. It is quite common to see such issue with the Chrome browser. Err_Connection_Reset is an issue in chrome browser that disturbs the user experience while surfing on the web. If you have been facing this issue quite frequently and looking for the best method to resolve this issue, then the below guide which will assist you remarkably in fixing the issue. It is considered to be one of the most effective ways to resolve this problem. Unlike other browsers such as Mozilla, Chrome does not have its own sock/proxy setting, hence by default it uses the personal sock/proxy setting of your computer. Generally, this problem surfaces if you use a proxy on your computer and forget to turn it off. Start your computer and go to Control Panel of your system. Now search for the internet option. 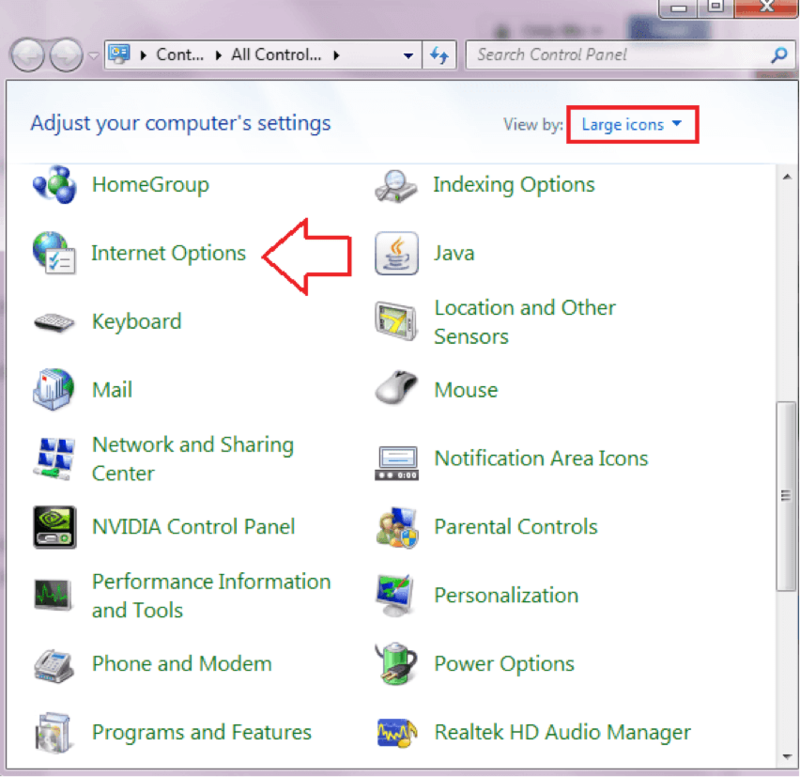 Once you have found the “Internet Option” heading, click on it. 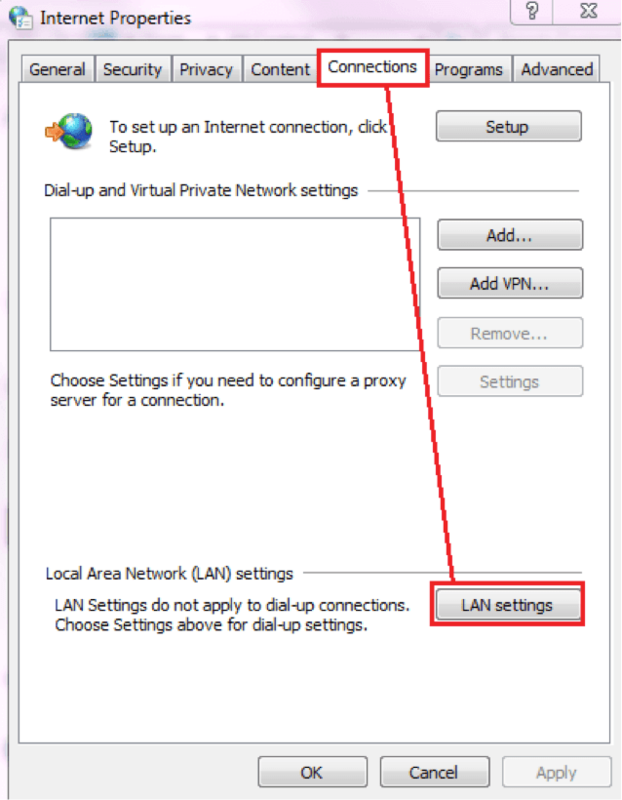 A new window will open where you will need to select the ‘Connections‘ heading tab and further click on LAN option under the heading “Local Area Network (LAN) settings. 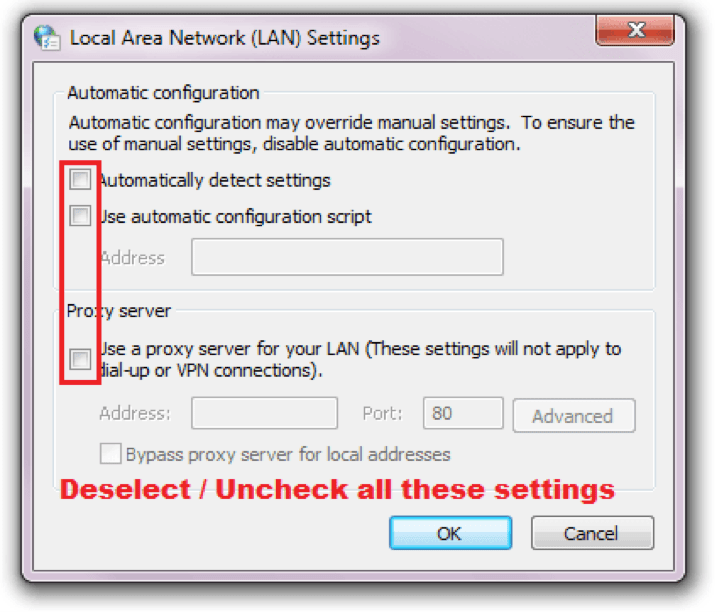 Clicking on the above option will open a new window where you will need to uncheck the ‘Use a Proxy Server for Your LAN’ checkbox if it’s selected. By unchecking the box, this problem will get solved easily. Hence, if you are facing this issue then follow the above-mentioned instructions. However, this is not the only method to resolve this problem. Apart from the above trick, there are other ways too to resolve this issue. According to experts, this is one of the easiest ways to resolve the connect Chrome Browser ERR_CONNECTION_RESET error problem. 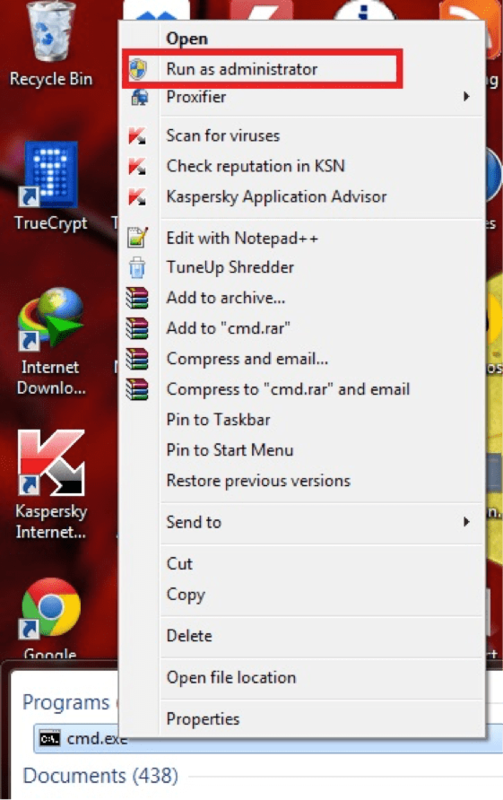 To solve the issue, first, start your system and go to the start option and select the command prompt. You can even directly open the command prompt by making use of Window key + R. Now type cmd.exe and then click on the enter button. However, if you are not the administrator users of the system you will not be authorized to run this instruction. Hence, you must require opening the command prompt as an administrative user to execute this command. Now in the next step type, the below-given words netsh winsock reset catalog and then click on the enter button. You are required to restart your computer to see the changes. Once you have run this command successfully, the issue related to the browser will wipe away. Antivirus or firewall programs are essential for the security of your system. However, sometimes having installed on your system they block the internet access or external connection thereby resulting in Err_Connection_Reset error. To solve the issue, you should turn off or disable the firewall or installed an antivirus to check if it is causing this problem. Though you should not be advised to permanently disable the firewall or antivirus, you can try this option temporarily to check whether it is causing the problem or not. To avoid your antivirus or firewall from creating this problem you can add your internet connection to the whitelist which will resolve this problem. It can also be the reason behind Chrome Browser ERR_CONNECTION_RESET error problem. Sometimes power cycling your routers may also resolve this problem. To resolve this issue, you should unplug your router power source for at least five minutes and this will help in clearing the memory. Now turn off the computer and restart it and this problem will be solved. It is also responsible for creating the Chrome Browser ERR_CONNECTION_RESET error Problem. Sometimes the old and error entries in your computer registry can cause this problem. Therefore, on the regular basis, you should clear the window registry using various tools such as CC cleaner etc. If you face the internet connection problem in the Chrome browser, then you should use CC cleaner and other tools to clean the registry files and then restart your computer to check whether the issue gets resolved or not. In most of the cases, this step solves the problem. If you have tried all the above-mentioned tricks and still if this issue is not getting resolved then you should take the assistance of your internet service provider. Most of the times they resolve this problem by blocking many harmful sites using a firewall. Hence, you can call them to know whether they have blocked the destination website or not. This will definitely help you in solving this issue. Best of luck for your future.Thank you for this post.